Tailoring addiction medicine to fit the disease. 25 years ago, when Dr. Bankole Johnson first began giving lectures about addiction and neurotransmitters in the brain, he had a hard time getting a hearing. That’s because 25 years ago, everybody knew what addiction was: a lack of “moral willpower.” Or, at best, some sort of psychological “impulse control” disorder. 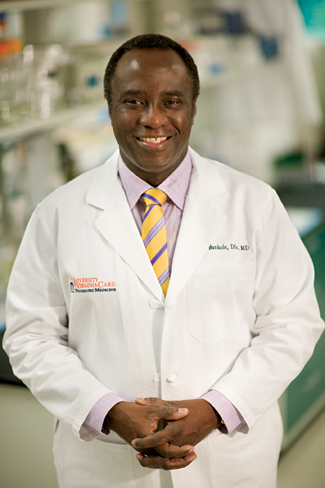 As a neuropharmacologist by training, and currently professor and chairman of the University of Virginia’s Department of Psychiatry and Neurobehavioral Sciences, Dr. Johnson thought otherwise, and went on make a name for himself by discovering that topiramate, a seizure drug that boosts levels of the neurotransmitter GABA, could be used in the treatment of alcoholism. “I just wasn’t a hospital-type doctor,” he once said. “I was for more intersted in research than clinical practice.” Johnson’s work was featured in the 2007 HBO series, "Addiction." Born in Nigeria, Dr. Johnson attended the University of Oxford and received his medical degree in Glasgow, Scotland in 1982. At the time, medical understanding of addiction was poor to nonexistent. “Everything we knew—really knew—probably could be written on the back of a postage stamp,” he recalled. 1. You’re a native of Nigeria. How did you first become interested in medicine? Bankole Johnson: My father was a doctor and encouraged me. Back then, I had little interest in medicine and was more interested in the arts and perhaps going to law School, for which I had been promised a scholarship. 2. Addiction is called a “disease of the brain,” in Alan Leshner’s famous phrase, but it is still a hugely controversial subject. Are innate biological differences the cause of addiction? Johnson: Addiction is a brain disease. The roots of the disease lie in brain abnormalities, and these are exacerbated when a vulnerable person uses alcohol excessively or takes illicit drugs. 3. 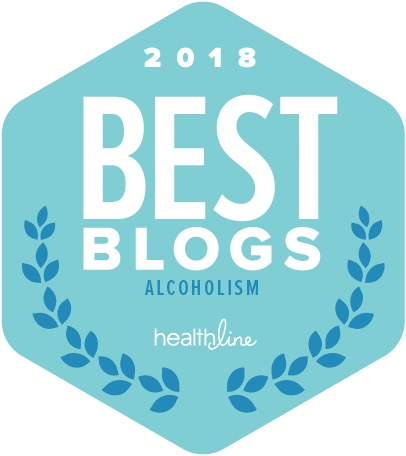 How did you discover that topiramate helped some alcoholics drink less? Johnson: It was an idea that developed from a hypothesis I came up with based on brain neurochemistry. The central idea was to alter the signals of dopamine, a critical path for the expression of rewarding behavior, through two different and opposite systems—glutamate and GABA. 4. That work led to Topamax for alcoholism, and your more recent work with ondansetron, another GABA antagonist. But what role do environmental and sociocultural factors play in the development of addiction? Johnson: The environment interacts with genes and brain chemistry to govern behavior. But in the end, it is the changes in the brain that ultimately direct alcohol and drug taking behavior. The environment therefore provides the context and tuning of the neurochemical signals in the brain. 5. Some people find the notion of addiction as a progressive and incurable condition a hard pill to swallow, so to speak. Why has effective medical treatment for addiction been so slow to develop, and why hasn’t talk therapy been more effective? Johnson: Talk therapy has some effectiveness, but alone it is not a comprehensive or robust treatment. Progress in the last two decades has been quite rapid. With growing and clear acceptance of the neurobiological underpinnings of addiction, the next decade should herald even more exciting discoveries. For example, our work on pharmacogenetics promises to provide effective medications—such as ondansetron—that we can deliver to an individual likely to be a high responder, based on his or her genetic make up.